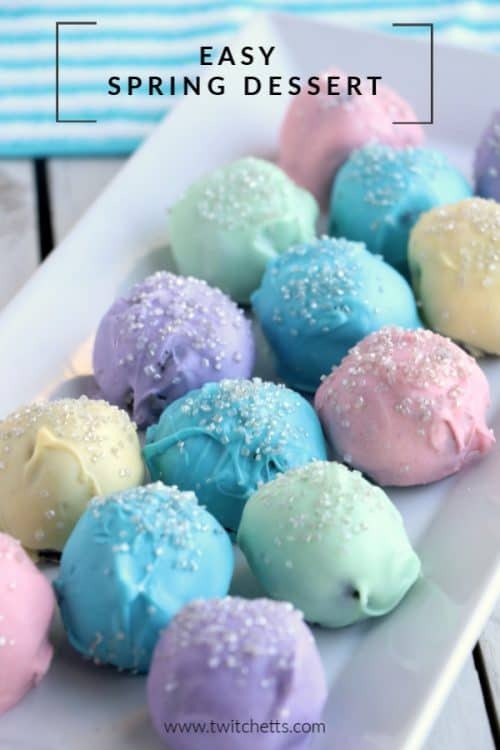 These easy Easter cookie truffles are perfect for an Easter brunch or a sweet spring picnic! 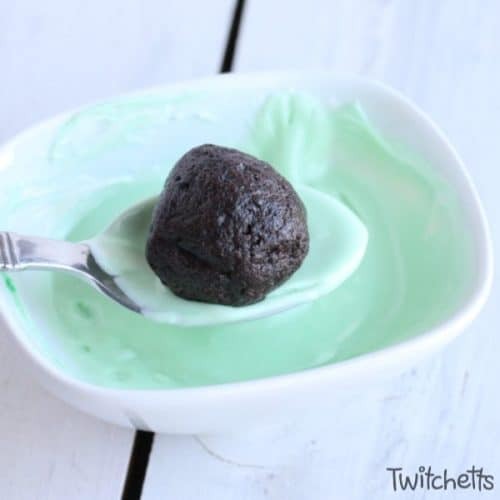 Use Oreos or Newmans to make a chocolate cookie ball that kids will love to help with. I have a massive sweet tooth. My kids have learned to guard the desserts in our house because they have been known to disappear after bedtime or while the kids are in school. My biggest weekness? Chocolate. To be exact, chocolate sandwich cookies. Specifically Newman-Os. 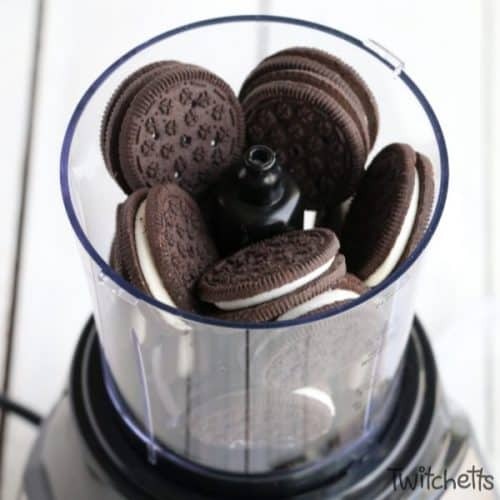 Seriously, they’re like Oreos…but better. 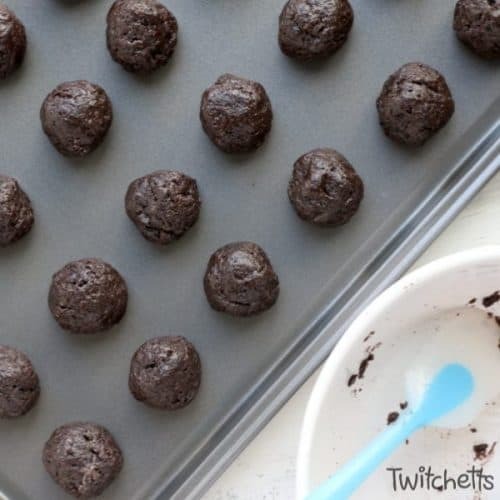 This super easy cookie truffles recipe is made with chocolate sandwich cookies. You can use Oreos, Newman-Os, or generic. 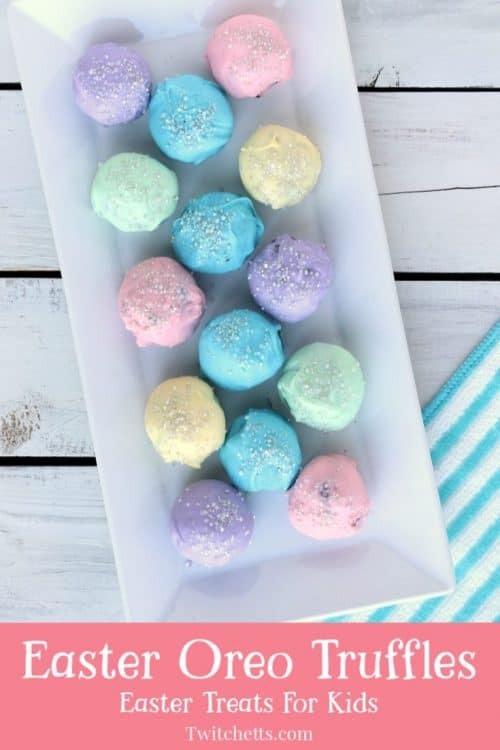 Dip the balls in fun pastel colored chocolate and you have an Easter treat that kids will love…and you’ll want to create a secret stash. Can you just see these beautiful cookie balls on a platter at your Easter brunch or a fun spring tea party? 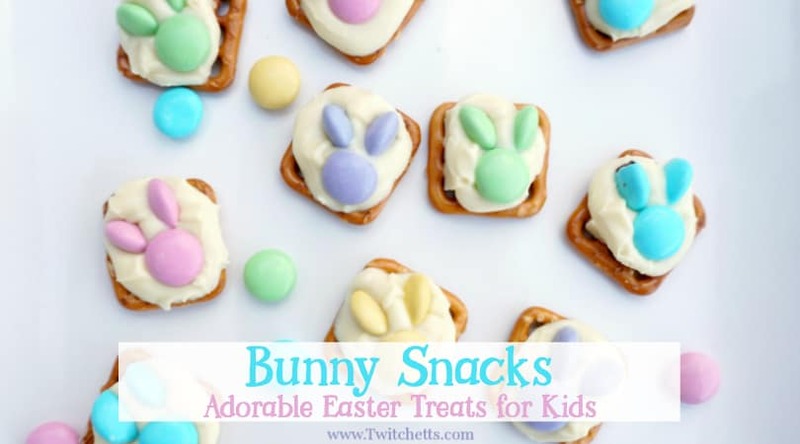 These will go perfect with our Easter Bunny Treats! 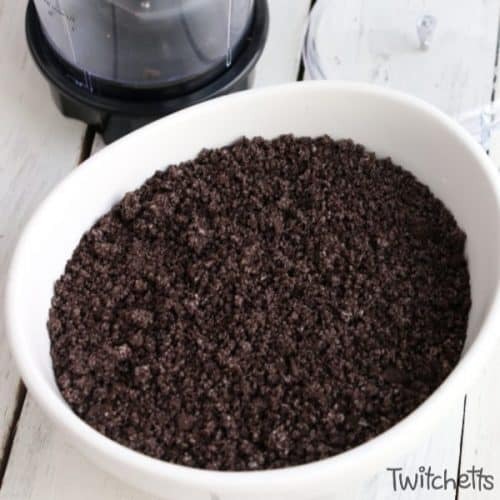 Process the cookies in a food processor until ﬁne. 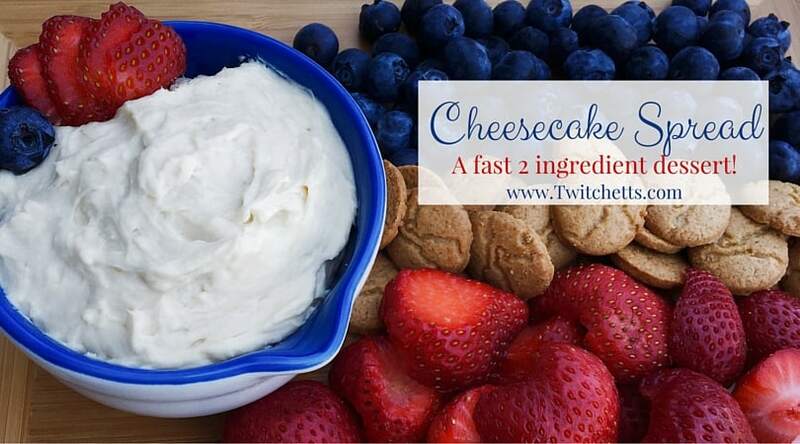 Mix the crumbs with cream cheese until well-blended. This works best with your hands, so you know the kids will want to help with this step. 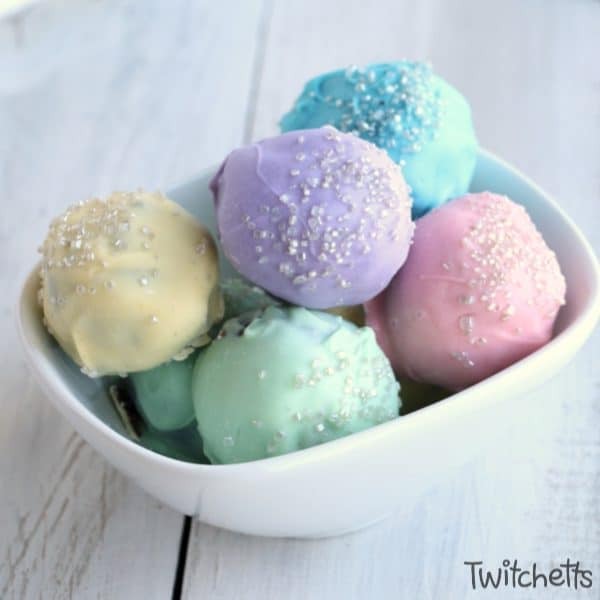 Form mixture into 1-inch balls and place them in a container that can be put in the freezer. Place truﬄes into the freezer for 30 minutes. 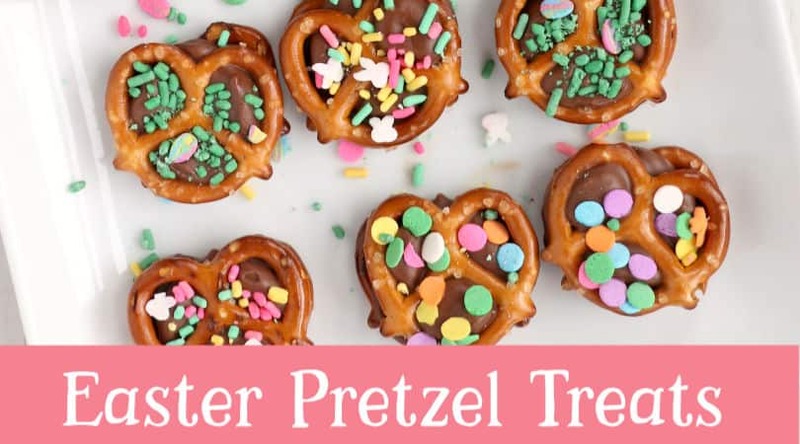 Don’t miss this simple Easter pretzel treat. Separate the melted bark into as many dishes as you have colors. Add food coloring to each dish. Using a spoon, cover each truﬄe completely. Add sprinkles before almond bark hardens. Store in the refrigerator. 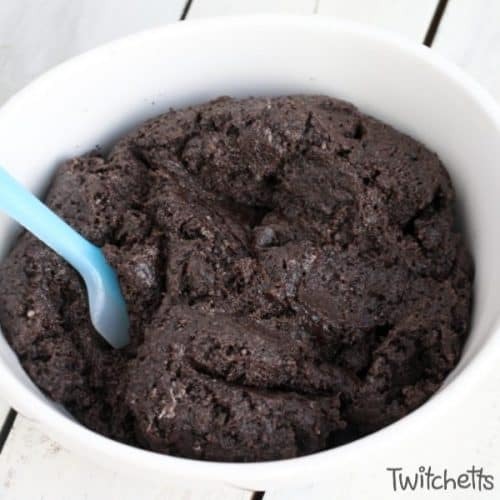 Process Cookies in a food processor until ﬁne. 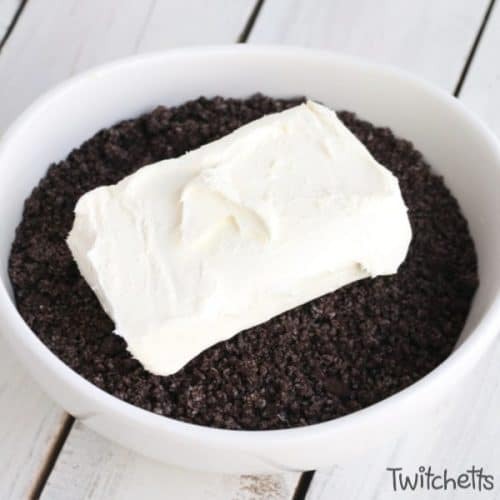 Mix the cookie crumbs with cream cheese until well-blended. 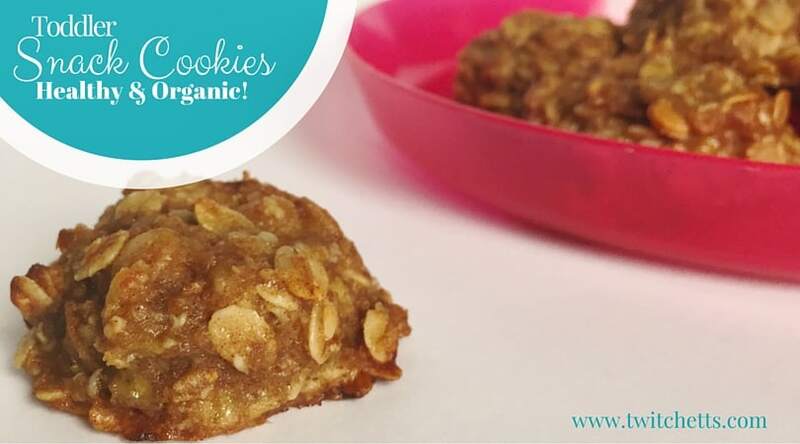 Prepare almond bark by heating it in the microwave for 30 second intervals until it is melted completely and smooth. Divide melted almond bark into as many bowls as you have colors. 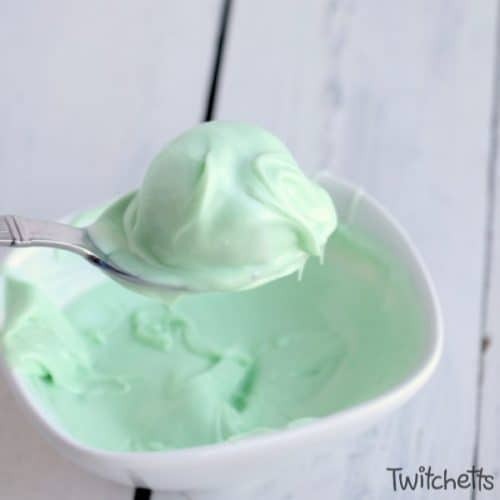 Add food coloring to each bowl of almond bark. Add sprinkles before almond bark hardens. 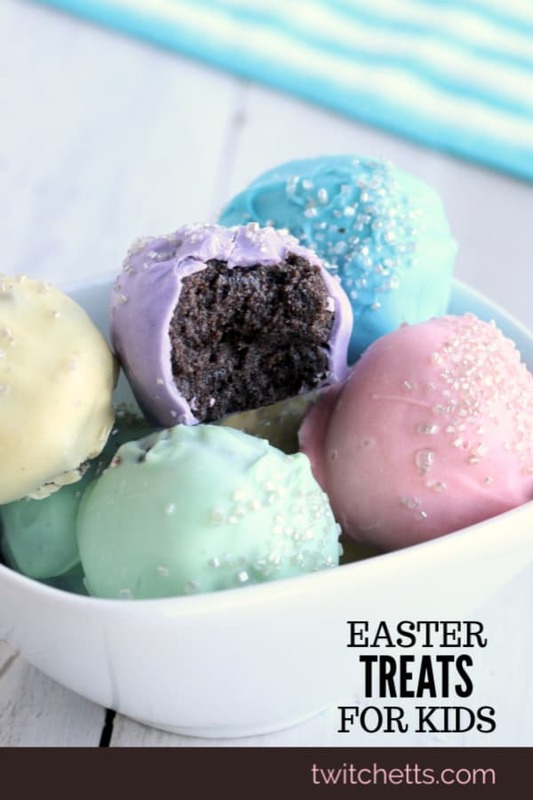 If you loved this Easter treat, please pin it to your favorite Pinterest board!